I know you’re thinking that’s a metaphor for some spiritual lesson. But I actually have a 6 foot tall sign with three-dimensional, high-gloss, cranberry red, letters that spell out J-O-Y. I originally made the letters as a prop for a family photo shoot. Then they adorned our mantle for Christmas when we lived in Colorado. When we moved to Louisiana, I mounted them on some distressed boards and used them to spruce up our entry way at Christmas time. You could see my JOY glistening in the sun from the far end of our street. After our first Thanksgiving in Texas, I pulled it out of the garage and proudly displayed it on our porch once again. But after the strong winds blew it over a time or two, I brought it inside and made it part of my year round interior design. It made my face break open in a grin every time I walked from the kitchen to the craft room. But sometime in mid-March, I stopped noticing it so much. And by summer it became just another thing to vacuum around. Two years later, when the time came to pack the semi-truck for our move to West Virginia, the burly men barely cushioned my JOY for the trip. They wrapped it in a shabby blanket and shoved it in the truck on top of all our worldly possessions. I may have raised one skeptical eyebrow at the lack of concern for my JOY, but was too exhausted to speak up. When they delivered our house hold goods in West Virginia, my JOY had been broken to pieces. The boards pulled apart. The J and the O came loose, but the Y’s mounting held fast. Unfortunately, the boards it was mounted to separated, causing the left side to rip from the right. What had once made me so happy was now tattered and torn. My JOY needed to be restored. And, oh, have I been there before. Sometimes I’ve treated my joy like any other knick-knack I barely notice. I’ve failed to properly protect it from the enemy and the evil he brings to this world. Other times, I’ve allowed the weight of my sin to crush my joy. Maybe you’ve been there, too. Complacent with your joy. Or someone else has been careless with it. Corruption and covetousness force the joy from our hearts. Perhaps, even your past or present circumstances are destroying your joy. Often it is the holidays, that remind us most where our joy is lacking. But you are not alone. Even King David, the man after God’s own heart, had his joy destroyed a time or two. In one of my favorite passages, we hear him cry out to God to restore his joy. And renew a steadfast spirit within in me. In my Nelson Study Bible, this Psalm is titled, “A Prayer for Repentance.” It was written after David was confronted by the Priest Nathan about his many sins surrounding his affair with Bathsheba. You can feel his anguish in the words he penned. He acknowledged his sin against God and recognized that God cannot associate with sin because He is holy. But He also knew God was faithful and just to cleanse him from all his immoral ways and He would restore the joy that comes from knowing God alone saves us from sin and death. No matter what makes your joy feel destroyed, sin is almost always at the root of the destruction. Even other’s sin against us can lead us to the bitterness that comes from a lack of forgiveness. Because sin separates us from God, Satan wields it like a sword to bring anguish and mourning. He wants to destroy our joy. 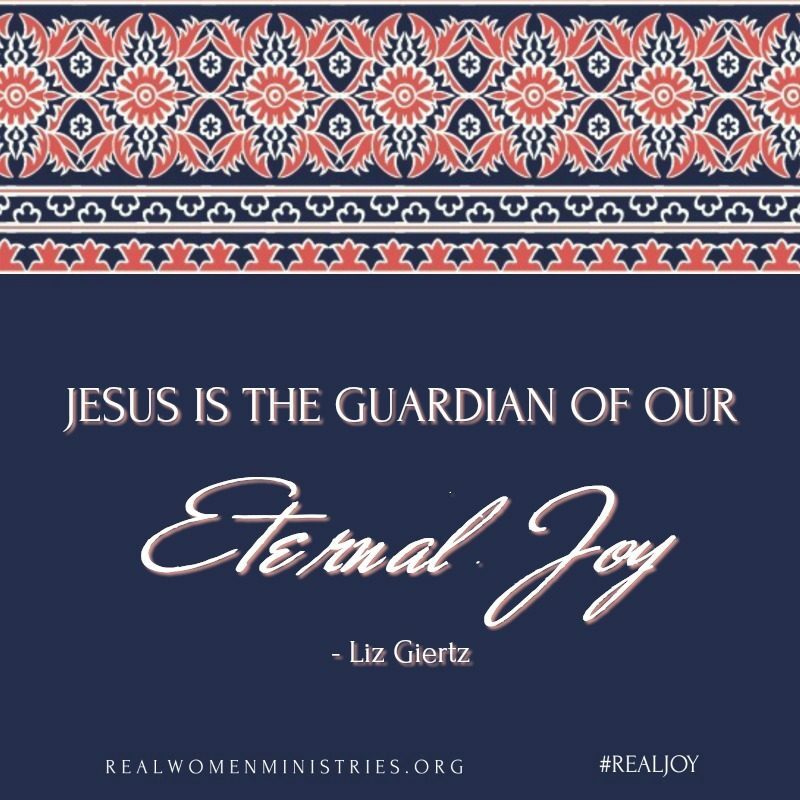 But because Jesus is the source of our salvation, he is the guardian of our eternal joy. Nothing in this world can destroy our real joy, not even the enemy of our souls. When corruption, coveting, complacency, carelessness, or circumstances threaten to destroy our joy, repentance brings restoration. 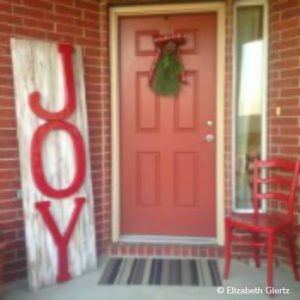 Like my 6 foot JOY sign, we ought to display our joy year round, never take it for granted, and guard it from anything that threatens to destroy it. During this study allow God to restore to you the true joy of your salvation. But don’t keep it to yourself, vow to share it with others so they, too, may experience the eternal joy that comes from knowing salvation in Christ. May we all dance with joy as David before the presence of our God both here and in heaven. Dear Heavenly Father, I thank you that you have given Jesus, the source of our salvation, to be the guardian of our eternal joy. Thank you for making that joy available to me, no matter what is going on in my life. When my joy feels destroyed lead me by Your Holy Spirit to the repentance that will restore it. In Jesus’ Name. Amen. Can you think of a time when your joy felt destroyed? Can you connect it to sin? Was your own repentance or forgiving someone else the key to restoring your joy in that situation? How does having the hope of heaven surpass the joylessness of our earthly circumstances? What is making you feel like your joy has been destroyed today? How might a seeking a fuller understanding of your salvation in Christ lead you to joy restored? Liz Giertz is an Army Veteran turned Army wife and mom to two boisterous boys who call Hurricane, WV home for now. 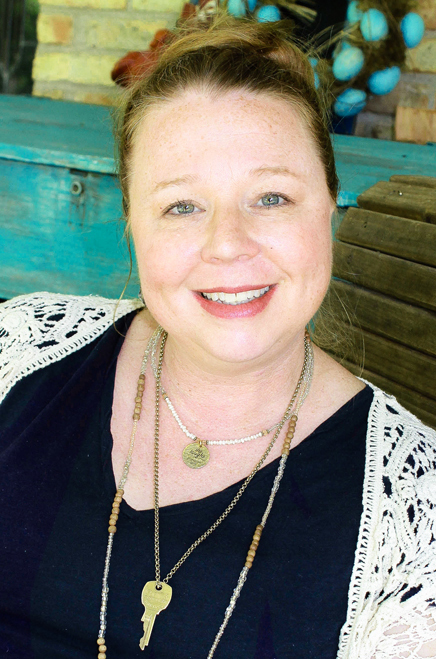 She is passionate about encouraging women to overcome MESSES and embrace their MEMORIES as they become the MASTERPIECES God created them to be. You can connect with her on her blog, My Messy Desk , as well as on Facebook or Twitter . Me, too, Michele! I have to constantly remind myself to dust it off and let it shine like the jewel it is! Thanks for you encouragement! Blessings! Liz! This is such a perfect reminder. Our JOY should year long. Our joy can be restored. 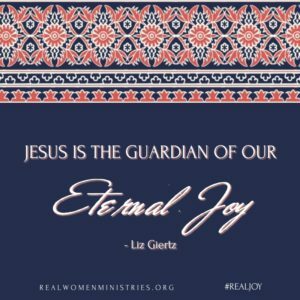 We should protect our joy and rejoice that Jesus is the Gaurdian of our eternal joy. Thank you for sharing your wisdom and your heart. I love the image of Jesus wielding a sword against Satan to protect my joy! Thanks for that visual, Jodie! Blessings! Here I sit on my 52 year anniversary of marriage and I woke up early this morning praying quietly in my bed and I wonder how I can help my husband feel God’s love for him and I read all the words of Joy. I pray for God’s joy and let me quit feeling sorry for myself. Dear Millie, I’m praying God will reveal His joy to you and to your husband today in ways you’ll recognize are undeniably from Him. And that He would continue to bless, guide, and strengthen your marriage. Liz, your illustration of not taking my joy for granted and guarding it from that which would seek to destroy it spoke to me! I’ve never thought about guarding my joy and I’m so glad you pointed this out. Thank you! Because my joy has been destroyed, I’ve learned to treasure it live a valuable jewel! Thanks for your encouragment, Leigh Ellen! Blessings and JOY to you! I needed this EXACT message today. Thank you for this beautiful reminder! Kathie, I’m glad you received something from the Lord today through this series. Praying for you tonight. Lord, I needed this today. This season sickness, feeling overwhelmed and just day to day routine has sucked the joy right out of me. I thank God is throne of grace is right there, ready to restore what Satan tries to destroy. Thank you, Liz and Stephanie! Beautiful message.